**NON-SMOKER**, HONDA CERTIFIED!, USB PORT!, MOONROOF/SUNROOF!, REARVIEW CAMERA!, BLUETOOTH!, GREAT VEHICLE HISTORY!, REMAINING FULL FACTORY WARRANTY!, Leather. Odometer is 2922 miles below market average! Hello, I would like more information about the 2019 Honda Ridgeline, stock# S0378. 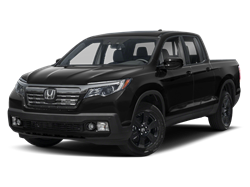 Hello, I would like to see more pictures of the 2019 Honda Ridgeline, stock# S0378.